OLD PARKED CARS. 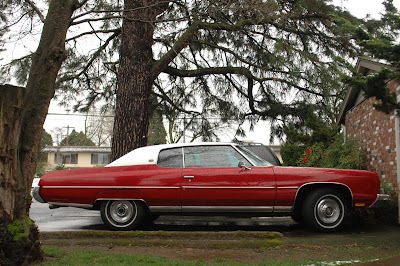 : 1974 Chevrolet Caprice Classic. Why did you even bother making the comment if you knew it would offend people? Justin, I deleted that because I didn't feel like it was going to make anyone happier, which is a big component of the blog for me. Nice shots! You certainly made the most of this, I can't imagine myself making a red Caprice Classic look better. She's completely unmolested. Would love to drive it. And that shade of red....fits it PERFECTLY. White vinyl roof really blends with the red. 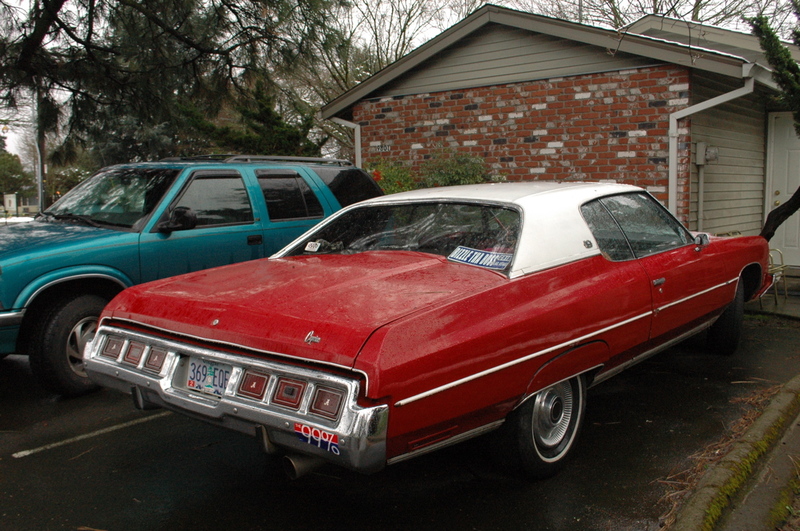 The race for best Caprice is still going strong. Does the Parisienne count? 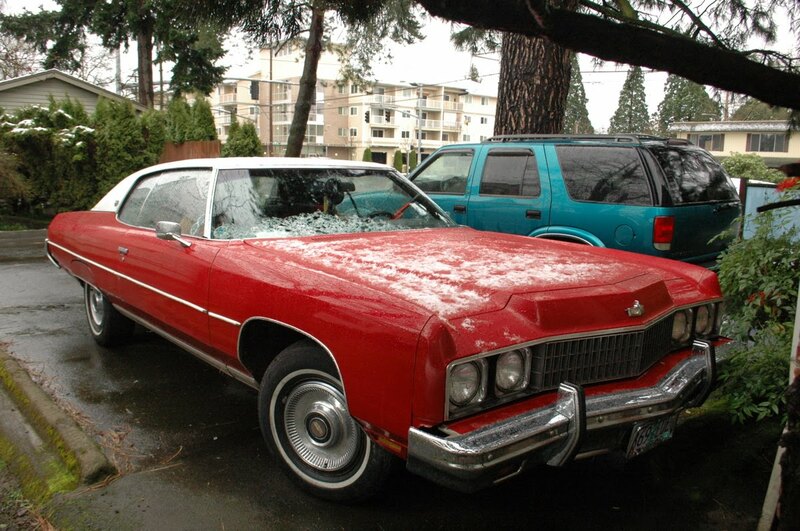 That's a guessied up Caprice....just kidding! Big Red Boat! Do want! Proof that cool cars were made during the malaise era. It is a really great beast, however I do believe it is a 73, not a 74.